Wim Wenders wows, Gus Van Sant returns and Gosling goes arthouse, from Japan's suicide forest to the catwalks of Paris, here’s twenty films we think will knock your socks off next year. Juliette Binoche’s Maria Enders is cast in a film adaptation of the play that made her famous as a younger actress. She played Sigrid, a spoiled child who drives her boss, Helena, to suicide. Now Maria’s playing the older role, Helena, and, as her relationship with the Hollywood starlet (Chloe Grace Moretz) stepping into Sigrid’s shoes develops, Maria is forced to confront her past. But is the play also a metaphor for Maria’s relationship with her young assistant? (Kristen Stewart). One of 2015’s two-film trends will be middle-aged actors examining existential angst via the theatre. Sils Maria looks like it will be as essential as its companion piece, Birdman – if a bit more straightforward. Paul Thomas Anderson has called Vice his weed movie. We’re not sure if that’s because it’s fun to watch when you’re high or that it’s fun to watch because it makes you feel high, but either way it’s packed with vivid performances (including a magical turn by Joanna Newsom), wild characters and loads of moments funny enough to make you spit out your hash brownie. It’s a story of stoner detective Doc Sportello’s (Joaquin Phoenix) attempts to locate his missing ex-girlfriend in 70s LA, uncovering a complex conspiracy in the process. Those expecting a return to Paul Thomas Anderson’s lighter period pieces, like the similarly set Boogie Nights, might be surprised. This is as complex as The Master. Basically Lady And The Tramp meets Rise Of The Planet Of The Apes, but much better than that sounds. White God is a Cannes prize winner (Un Certain Regard) and looks amaaaaazing. Essentially a parable for the inevitable revolution that comes from suppressing a society (here, brilliantly, it’s dogs) check out the trailer below to be instantly sold. A single mother struggles to raise a violent child alone, until a new neighbour moves in across the road and offers her hope. Sounds like a simple pitch, but from this one-sentence plot director Xavier Dolan has created a film that extracts approximately 23 million emotions from any audience that sits down to see it. Visually astonishing, creatively costumed, painfully powerful – Mommy is everything cinema should be. A music movie that has all the tension and edge of a violent action-flick, Whiplash has inspired more standing ovations than a Max Roach solo on the festival circuit. Its acclaim will only build and build when it’s finally released in the UK, firmly setting it on the road to Oscar/Bafta glory. On paper it might not sound like much – a young drummer (Miles Teller) has his limits tested by a strict music instructor (JK Simmons) – but the beauty’s in the telling (and the Teller, it’s an incredible performance by Miles), and you won’t see a more exciting movie this year. When a young Pakastani girl goes on the run with her white boyfriend, her father sends a gang of mercenaries in pursuit. In anyone else's hands, Catch Me Daddy could’ve been a run-of-Demille gangster flick, but director Daniel Wolfe uses eastern and western influences on an original script, adds the exciting edge of his music video background, and casts non-actors in key parts to elevate the material, turning it into something fairly jaw-dropping. Directed, written by and starring Desiree Akhaven Appropriate Behaviour is, unsurprisingly, individual, passionate and personal. It follows one women’s struggles to be the perfect Persian daughter, whilst struggling with her sexuality and the pressures of being a Brooklyn hipster. Funny, charming and occasionally heartbreaking, this is an fun full-length debut. Lena Dunham likes it, I think you will too. Maisie Williams plays Lydia, a teenager growing up in 1969 at an all-girls boarding school, whilst supporting her best friend (Florance Pugh) through a scandalous accidental pregnancy. Long after its buzz at 2014’s London Film Festival, audiences will finally get to see Williams acting in something that doesn’t involve riding on the back of a dragon or something (we don’t watch Game Of Thrones, but that sounds about right). Crafted from clips curated from over 200 90s teen flicks, with voice-over by Craft star Fairuza Balk and a specially created soundtrack by Summer Camp, Beyond Clueless is the ultimate dissection of the kind of coming-of-age classics that influenced the last pre-internet generation. A popular hit on the festival circuit, Beyond Clueless is fun and throwaway, much like the movies it investigates. A dazzling recent trailer confirmed Cups will be one of 2015’s most stylishly shot films, but what else would you expect from director Terrence Malick? Like To The Wonder, it explores the nature of love. Unlike To The Wonder, it appears to have a plot. With Christian Bale’s lead Rick torn between Cate Blanchett and Natalie Portman as he struggles for his soul while it’s suffocated by Hollywood excess, Knight appears to have a compelling story to match the philosophy/ambient cinematography. It’s got a bit of meta-subtext too: “No-one cares about reality anymore,” whispers one character, shortly before Terry chucks his camera into a pool to film a dog swimming. 2015 is stuffed with exciting cinema releases, but the year’s best film could well be out in its first week. Birdman is out on January 1 in the UK, and pretty much every other release will struggle to match its majesty. It follows Riggan Thomson (Michael Keaton) a washed-up actor whose superhero movie past has overshadowed any subsequent achievements. Desperate to claw back his dignity via a Broadway adaptation of Raymond Carver’s What We Talk About When We Talk About Love, Riggan faces increasingly absurd obstacles – including hallucinations and confrontations with critics - as opening night approaches. Experimentally shot – this film will win the Oscar for editing, place your bets now – and packed with brave performances, Birdman should be the first film you see once your New Year hangover’s faded. Tarantino’s first movie since 2012’s Django Unchained is another western – a post Civil War tale of brusk bounty hunters, sneaky fugitives and tricky sheriffs hit by a blizzard and forced to seek refuge together. Featuring Reservoir Dogs’ Tim Roth and Michael Madsen, frequent collaborator Samuel L Jackson, Death Proof’s Kurt Russell, and Django’s Walton Goggins, as well as newcomers Channing Tatum, Bruce Dern and Jennifer Jason Leigh, this is an eclectic cast that features a lot of QT history. As Tarantino is gearing up to retire after 10 films, he’ll want every single one of his remaining cuts to be a masterpiece – so we’re fairly confident this’ll be good. The Tribe takes place in boarding school for deaf children, which is run by students like a crime syndicate. When a shy new arrival is forced to act as a pimp for the cruel ‘King,’ he falls in love with the girl he’s being forced to prostitute, and a confrontation quickly develops. This intense Ukrainian film is shot entirely using sign language, with no subtitles – a technique that adds emotion and power to an already gripping story. Unlike anything you’ve ever seen before, The Tribe is an experience everyone should have in 2015. When the fashion world's pre-eminent designer Raf Simons’ replaced John Galliano at Dior, a documentary crew followed his mission to bring his signature aesthetic to one of the world’s biggest fashion houses. That would be compelling enough, but when you add the fact he was given just 8 weeks to put together a jaw-dropper of a collection, that makes Dior And I an even more essential watch. This fascinating behind-the-scenes gawp at at Simon’s heroic achievement features an all-star real-life cast, including Jennifer Lawrence, Anna Wintour, Marion Cotillard and more. But all eyes are on Simons as he works his magic. Captivating, tense and exhilarating. Ex-photographer and Control helmer Anton Corbijn seems like the perfect person to direct Life. That’s basically because it’s based on the real-life bromance between Life magazine photographer Dennis Stock and icon of cool James Dean. 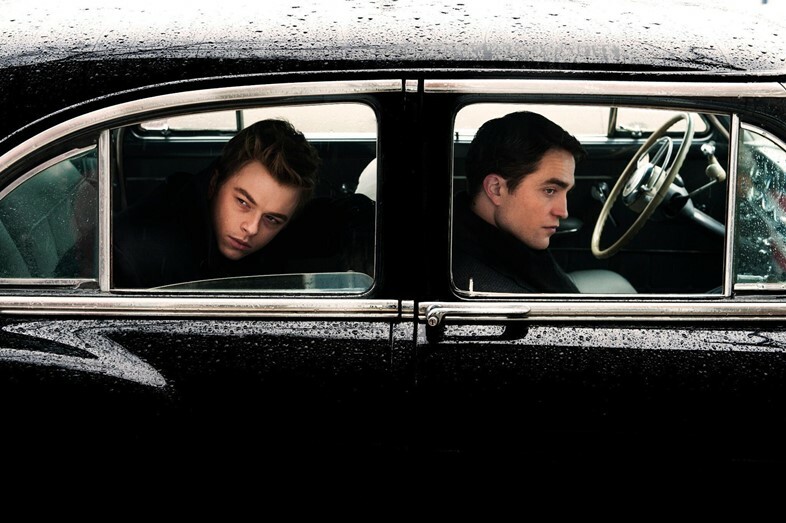 Robert Pattinson plays Stock, Dane DeHaan is James Dean, and they head up a cast that includes Ben Kingsley as tough-talking studio head Jack Warner, and Joel Edgerton as picture editor/photography pioneer John G Morris. Expect this one to clean up when awards season comes around in 2016. Fresh from her success in 80s throwback horror flick, The Guest, Maika Monroe stars as Jay, a teenager who starts to have scary visions after an fairly innocuous sexual encounter. When the visions seem to have real-life consequences, Jay and her friends must solve the mystery before it’s too late. Full of jumps, and with a fun John Carpenter/Atari video-game style soundtrack, It Follows will be one of the most flat-out entertaining horror films in 2015. A teenage girl grows up in a small Danish fishing village, unaware that she has a family curse that will see her start to turn into a werewolf. Despite the high concept, this is less Teen Wolf and more Under The Skin, with art-house meeting genre to create something pretty memorable. Ryan Gosling’s directorial debut is a startlingly experimental art film demonstrating strong visual instincts. Critics were divided when it screened in Cannes, with multiple harsh reviews decrying the plot but praising the shooting style. But no matter what the critics say, we’re still excited. It’s Ryan Gosling directing an art film – what’s not to like? Subject meets content in this visually stunning documentary from Wim Wenders, which celebrates Brazillian photographer Sebastiao Salgado’s ability to capture the soul of his subjects via dignity-filled black-and-white pictures, pictures that deserve to be seen on the biggest screen you can get to. Gus Van Sant returns to a subject that contributed to Last Days’ intensity - suicide. When an American named Arthur (Matthew McConaughey) travels to Japan’s Suicide Forest to kill himself, he meets a Japanese man, Takumi (Ken Watanabe), who has the same aim. Arthur and Takumi then begin a journey of self-reflection and potential survival. Despite the dark subject matter, any new film from Van Sant is cause for joyful celebration.